ODM leader Raila Odinga’s last born daughter, Winnie Odinga last week politely rejected two marriage proposals from her admirers. Legendary singer and Ghetto Radio Brekko show host Julius Owino a.k.a Maji Maji on Friday tried his luck. While on air, Maji Maji teasingly expressed his intention to marry Raila’s daughter. Owino had called Odinga to thank her for giving out 10 tickets to Gor Mahia’s game against Angola’s Petro Atletico on Sunday. 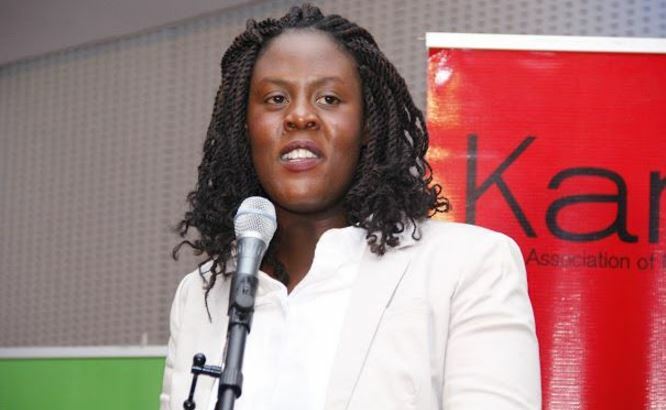 No sooner had Odinga jokingly remarked that she would be personally attending the game with an agenda of finding a husband than Owino presented himself as a potential suitor. Winnie was taken aback and laughed off the proposal enquiring for the presenter’s age. She stated that she would be willing to add him to the list of admirers on her queue. Nonetheless, Odinga pointed out that her ideal man ought to be fit and possibly a football player. Meanwhile, a tweep, Sammy Gunga, tweeted to Raila expressing how he adored him and even went ahead to ask for her daughter’s hand in marriage. “For the love I have for you Baba, please allow me to marry your daughter Winnie,” Gunga’s tweet read. A cheerful Winnie acknowledged Gunga’s effort but was quick to point out that it was not clear if he wanted to marry her because he loved his father or because he loved her. Furthermore, she humorously commented that she would only make her decision to accept any offers after her mother, Ida Odinga approved of the dowry being offered. She intimated that as per the Luo culture, her potential suitor needed to have outstanding academic qualifications.